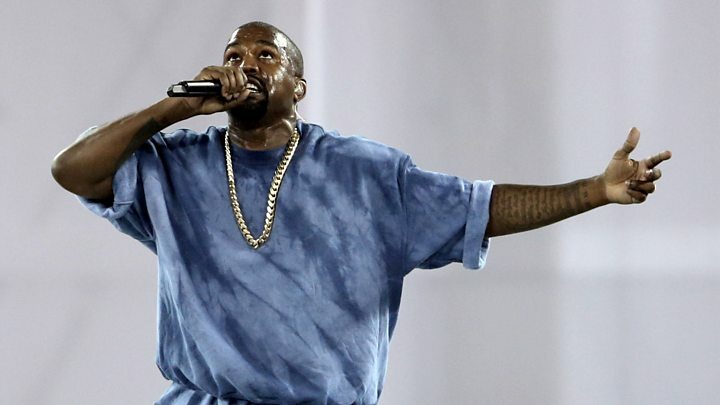 Kanye West has denied being stumped when asked on TV about his support for President Donald Trump – saying he didn’t have time to reply. The normally chatty rapper seemed lost for words when TV host Jimmy Kimmel asked him whether he thought Mr Trump cared about black people, “or any people at all”. His silence on Thursday’s show prompted Kimmel to cut to a commercial break. But West tweeted on Saturday that he “wasn’t given a chance to answer”. He said Kimmel’s question “was so important I took time to think. And then I was hit with the let’s go to commercial break”. The 41-year-old hip-hop star has previously referred to Mr Trump as “my brother” and said they shared the same “dragon energy”. West contemplated the question in silence for several seconds before Kimmel suggested taking a break. Asked earlier in the interview why he had decided to endorse President Trump publicly, West said he hadn’t wanted to succumb to pressure to take the predictable option. “As a musician, African-American… everyone around me tried to pick my candidate for me,” he said, suggesting there was a perception that “blacks can only be Democrats”.